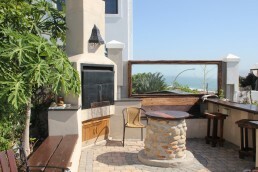 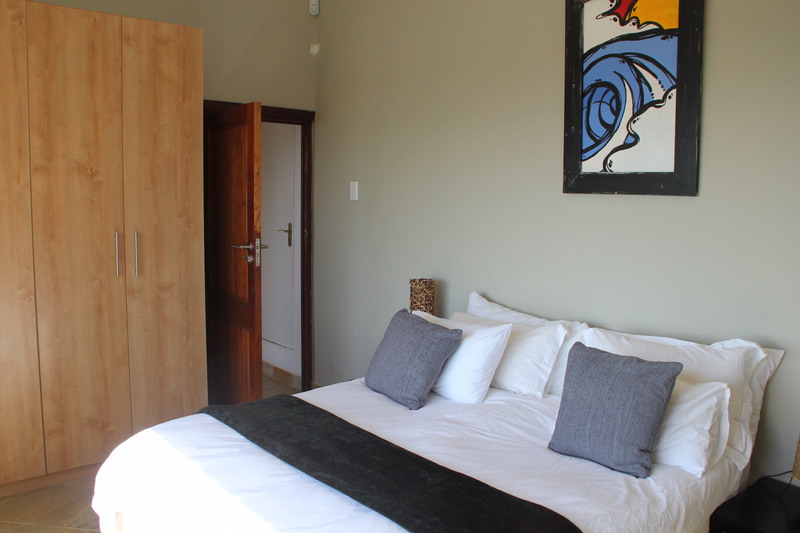 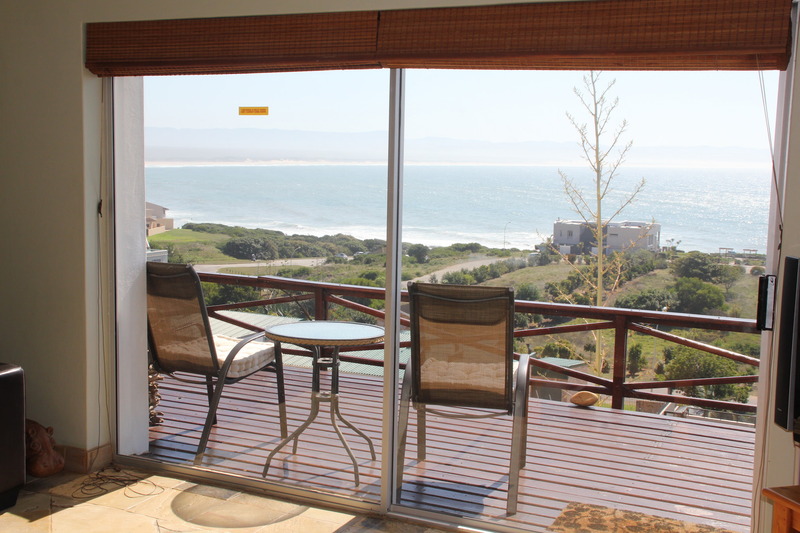 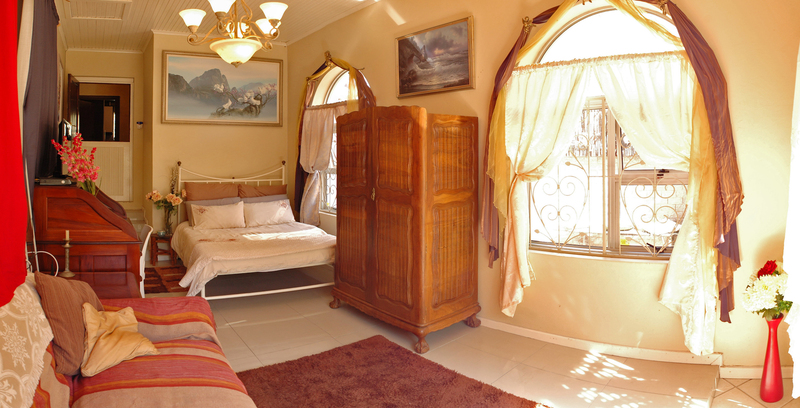 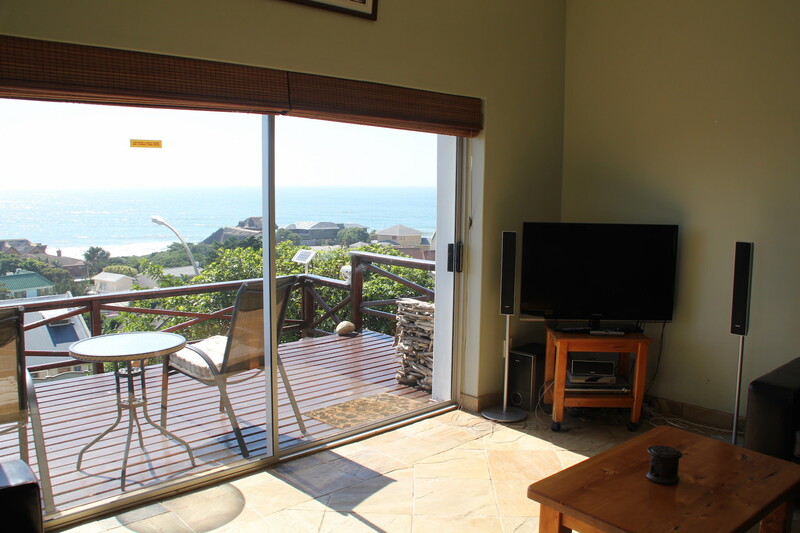 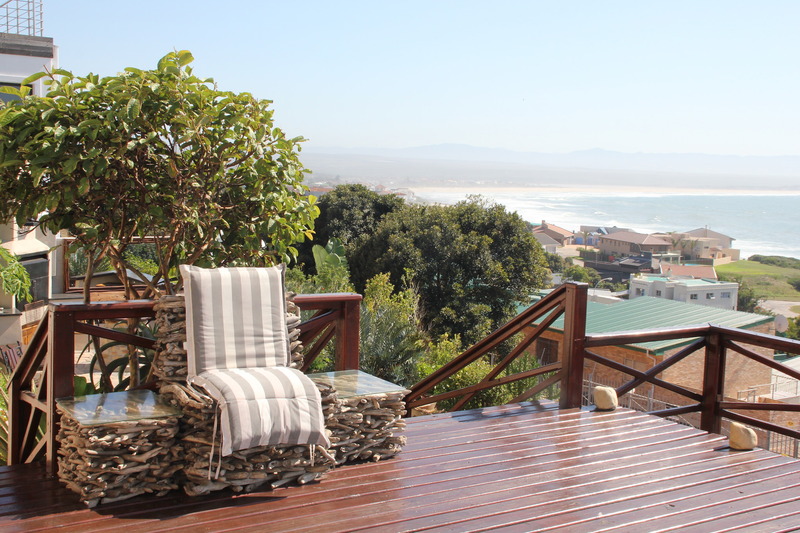 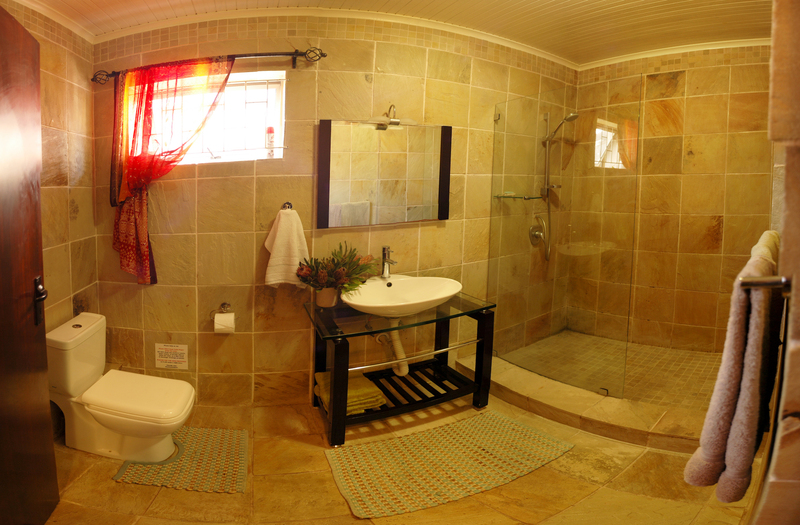 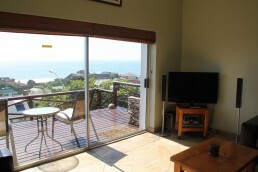 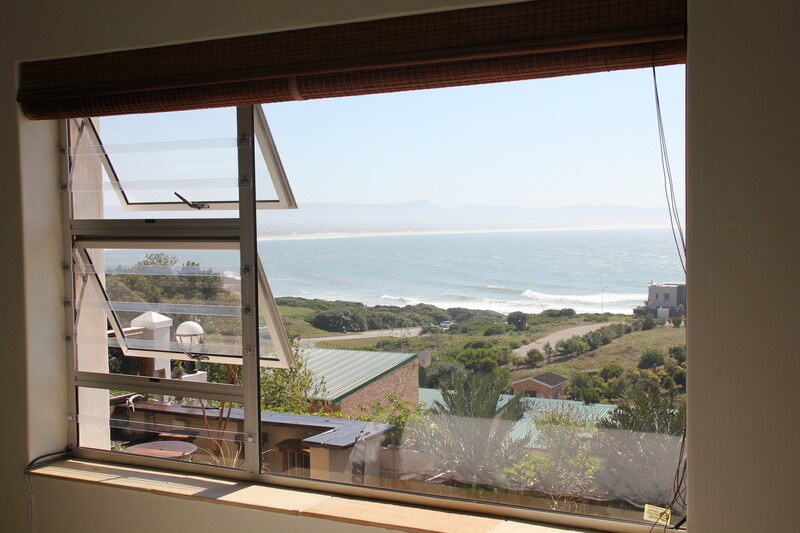 The most luxury unit at the front of the JBay Surf View House with 2 large en-suite bedrooms. Here you have views over the beach and waves from all rooms and even from the showers. 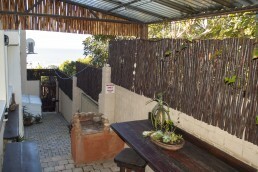 The spacious lounge leads out over the timber deck, which looks out over the bay. The view runs from Boneyards at the top – down to Albatross at the bottom – the entire sweep of surfspots. 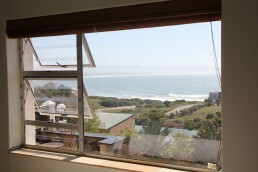 The kitchen also has an epic view and is fully equipped! Below the deck is your intricate garden and outside cooking area with barbecue and more surf views. 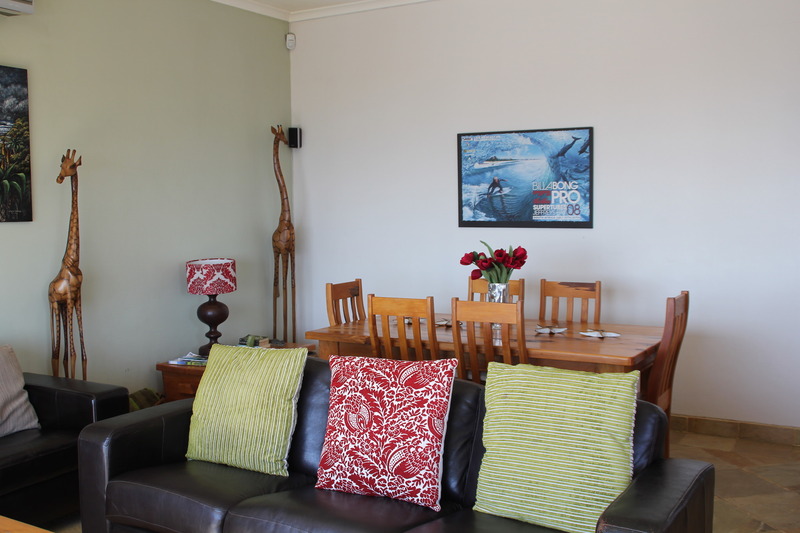 A big LCD TV and wireless internet keep you connected to the world. 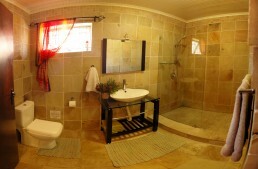 depending on season and nr of guests. 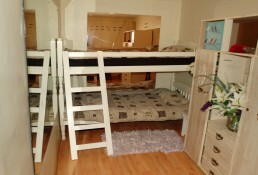 See more pictures of the "Tubes" flat below on the page. 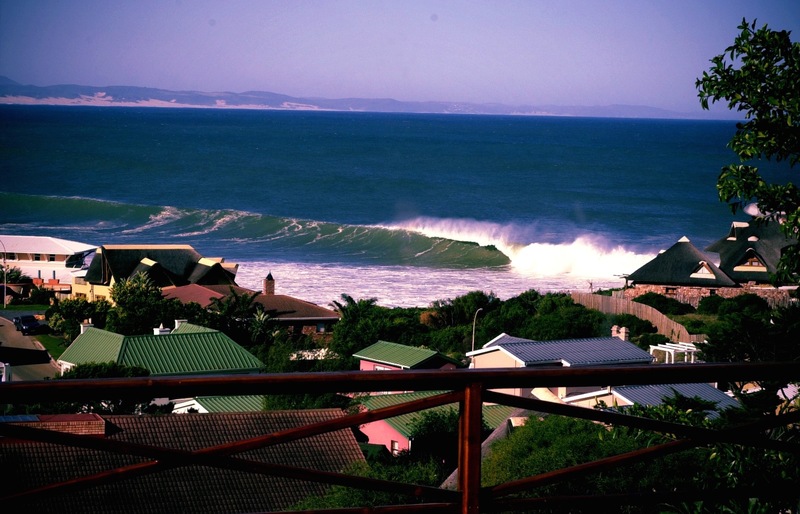 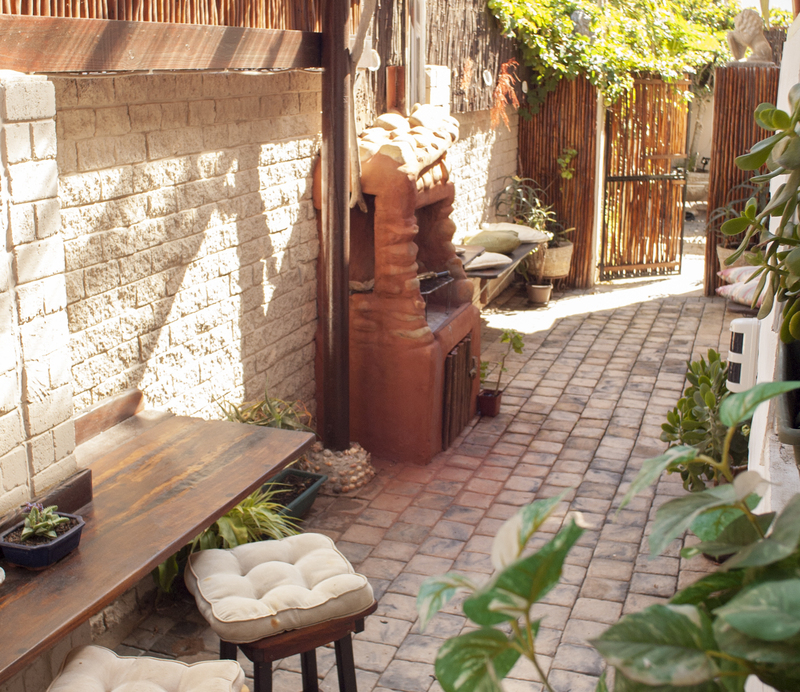 With a view over the fence straight up the line-up at Supers, this flatlet is perfect for a single or couple. 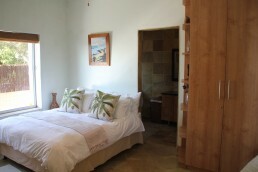 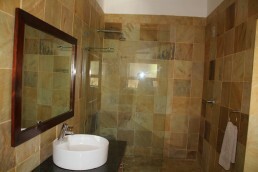 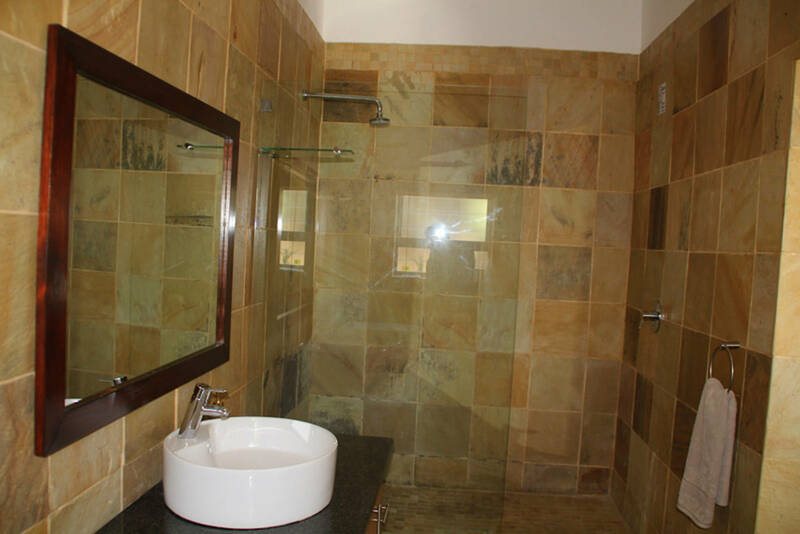 It's all new with a double bed, kitchenette and separate bathroom with shower. The ideal spot to relax after burning hours upon hours charging up and down the point. It's tastefully furnished and features a wall mounted TV and wireless to catch up on things. Point also has a neat and fun outside entertainment area where you can cook with fire whilst reminiscing on the surfing days. 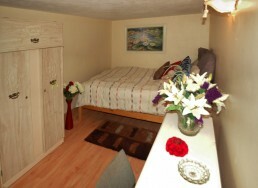 See more pictures of the "Point" flat below on the page. 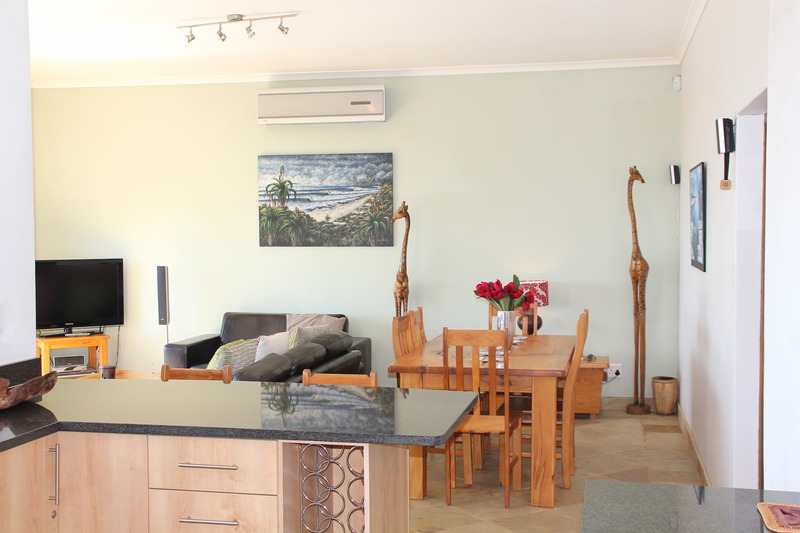 This flat at the back of the house is perfect for families or groups of up to 6. 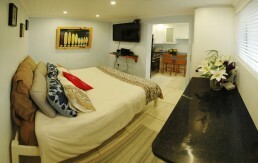 Ideal if you want to stay for a couple of weeks. With a colourful and quaint garden verandah, this unit features a double room with TV opening up onto the sunny patio. 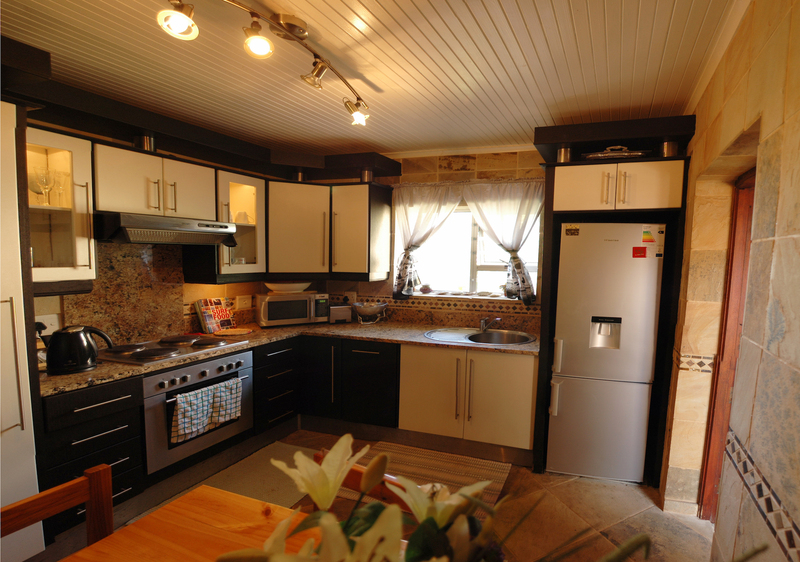 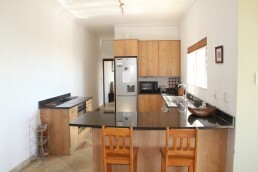 The well appointed modern kitchen is great with all you would need to cook up and serve a storm. The unit has a spacious sandstone shower and toilet and a four sleeper downstairs – a double and two bunks. depending of season and nr of guests. 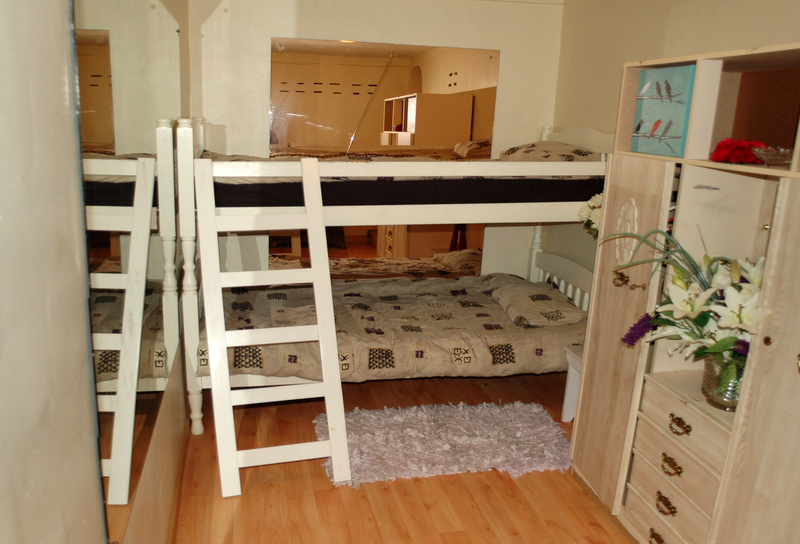 See more pictures of the "Salads" flat below on the page.